MANILA, Philippines - Last January 14, 2016, President Benigno Aquino III released a veto message in response to House Bill No. 5842 which proposed a Php2,000 across-the-board increase on the SSS pension. Around two million Filipino pensioners would have benefitted from the approval of this bill. However, a Php 2,000 increase will cut the fund life of the SSS by 13 years, according to SSS officers Marissu Bugante and George Ongkeko Jr. This means that those who will be retiring after 2029 could have faced the risk of receiving no pension at all. The highest monthly pension an employee can receive is around Php 13,000; the lowest being Php 1,200. The Php 2,000 hike will be beneficial to pensioners but even the highest monthly pension won’t serve as a sustainable retirement fund if you take into consideration the inflation rate in the country. 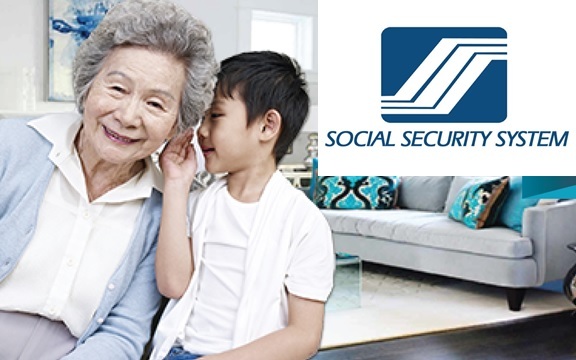 SSS pension serves as extended financial assistance. It is not meant to be a person’s entire retirement fund. As early as now, it is best for Filipinos to look for multiple streams to fund their retirement. The greatest benefit a savings account provides is liquidity. Liquidity is the measure of the amount of cash a person or organization has to meet short-term obligations. In simple terms, it’s how easy an entity can convert its assets into cash. Unlike real estate where it can take years to sell a property and earn money, a savings or checking account provides outright cash, thus being highly liquid. It is important that come retirement, Filipinos have a well-padded savings account to meet immediate and emergency expenses. However, too much of everything can also be bad, and it is suggested to only store around 6 months’ worth of living expenses in highly liquid accounts. If the bulk of your money is in liquid investments, you run the risk of losing money due to inflation since Philippine savings accounts only provide an annual return between 0.25 and 1%. Filipinos prefer to invest in real estate than stocks and bonds. 70% of Filipinos own their homes, according to a survey conducted by the Bangko Sentral ng Pilipinas. Real estate is another source to generate income, be it from renting, buying-and-selling, and long-term investing. Since real estate is a big-ticket item, earnings from property renting and selling can be a good source of income come retirement. Compared to the Php 13,000 monthly pension limit, earnings from real estate can surpass said pension. One basis that most Filipinos do not leverage the potential income from paper assets is that as of 2014, there were only 640,645 investor accounts in the Philippine Stock Exchange according to Atty. Roel Refran, its Chief Operating Officer. Paper assets include stocks and bonds, and they are one of the best ways to reach one’s retirement goals. Unlike savings account when annual returns are limited to 1% or less, returns on investment (ROI) from paper assets can vary from 3% (lower-risk investments such as bonds) to as high as 40% or more (higher-risk investments such as stocks). Paper assets enable investors to beat inflation and grow their net worth at a faster rate. However, it’s best to note that the most profitable investments pose high risks, and investing blindly can lead to losses. It’s also worth noting that stocks and similar investments are best for the long-term, which make them ideal for stashing away your retirement funds. Marvin Germo, author of the Stock Smarts series of books, advises investors to “never invest money they cannot afford to lose” because investments are not guaranteed. While this is the case, you can reap high returns if you put make informed investments based on data and situational analysis. To maximize your retirement fund, it’s best to leave your money in investments for a minimum of 5 years, and not to touch it until your retirement. This allows you to ride out any market fluctuations and keep growing your money over the long term. Many look forward to retiring because that’s the perfect time to pursue their hobbies and simply enjoy life. Retirement is when you have free time in your hands. But with more free time, you run the risk of spending more, and so you need a healthy retirement fund. Having a retirement fund allows retirees to live their dreams, whether it’s retiring on a beach or enjoying daily lunches with amigas at the nearby mall. With the Php 13,000 monthly pension limit, it can be difficult to live out one’s dream retirement, so it’s important that one starts saving and investing early on using the three alternatives above.